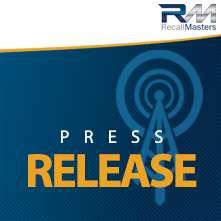 San Francisco, CA – March 21, 2016 – Recall Masters, Inc., a leading provider of automotive recall news, data, training, and communication today announced the appointment of Dan Beres as Chief Operating Officer. Beres will oversee the company’s communication and software services offerings for the direct to dealer sales channel, as well as OEM and enterprise business development opportunities. He will also be responsible for operations management, team development, driving performance standards for the organization, ongoing execution of business strategy and policy implementation, and the management of the company’s new office in Laguna Hills, CA. Prior to joining Recall Masters, Beres held the role of President, Corporate Development, for Confident Financial Solutions, a consumer finance company that offers auto repair financing to service centers and their customers. Beres helped grow the company’s sales distribution to over 25 resellers in Michigan, Arizona, and Florida, which led to over 80 dealership and independent shop enrollments. Beres also managed and executed strategic partnership relationships including integration with Moxy Solutions and the vehicle service contract industry. Previous to that, Beres served as Executive Vice President at MyCustomerData for seven years, where he created, developed and managed the sales force from three to 25 salespeople and was responsible for the company’s explosive sales growth at that time. He also initiated and developed vendor approved relationships with BMW, MINI, and Volvo, while managing an existing relationship with Mercedes-Benz. Prior to MyCustomerData, Beres held the role of Director of Sales for DMEautomotive, where he brought on seven new accounts in less than three months, drove over $1 million in revenue and was named the Top New Business Producer of the Year. Before joining DMEautomotive, Beres served for five years as the National Sales Director at Who’s Calling, Inc., where he drove sales from $3 million to $42 million in revenue in less than three years. “Recall Masters is growing rapidly as a leading total solutions provider by addressing everything dealers need to operate a successful recall department — our dealers are really stepping up to protect consumers and get recalled vehicles off the road by becoming true recall centers for their communities. I am excited to add Dan to our team. The timing is perfect and solidifies our standing, growth, and commitment in the retail automotive sector. Dan brings a strong skill set to the table and I look forward to a spectacular year ahead,” said Chris Miller, President of Recall Masters. According to Beres Recall Masters estimates that over 18 percent of vehicles on the road today are high risk safety issues; a total of over 47 million. “It’s no secret, we have all seen the overwhelming numbers of open safety recalls and have a moral and ethical obligation to identify and provide a solution to the automotive industry to get these vehicles in to the dealerships for repair. I am therefore extremely excited to join the Recall Masters team,” said Beres. “Being part of an organization that offers actionable solutions to dealerships and OEMs to help alleviate this problem in mass quantities is something I am eager to be a critical part of. Recall Masters not only provides the most comprehensive information, but also passes data to the dealer such as the OEM parts availability, warranty reimbursements and financial projections for each recall campaign. In fact, Recall Masters provides a complete end to end solution including a Call Center operation and a Training Academy to help dealerships master and solve the recall epidemic. This makes Recall Masters a very unique offering in the marketplace,” Beres added. To learn more about Recall Masters complete beginning to end solution, schedule a demo or a free trial call: 888-651-4480; email info@recallmasters.com; or visit: https://www.recallmasters.com.